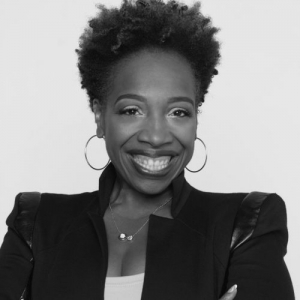 Lisa Nichols is one of the world’s most-requested motivational speaker, media personality and corporate CEO whose global platform has reached and served nearly 30 million people. From a struggling single mom on public assistance to a millionaire entrepreneur, Lisa’s courage and determination has inspired fans worldwide and helped untold audiences break through to discover their own untapped talents and limitless potential. As Founder and Chief Executive Officer of Motivating the Masses – one of the country’s only publicly traded personal and business development training companies – Lisa has helped develop workshops and programs that have transformed the lives of men and women and altered the trajectory of businesses throughout the country and across the world. Lisa is also a best-selling author of six books, and her 7th book ABUNDANCE NOW from Harper Collins is available now. ABUNDANCE NOW continues Lisa’s journey with her fans, providing a clear and practical blueprint for personal success direct from the life experiences of its beloved author. ABUNDANCE NOW is the eagerly-anticipated follow-up to Lisa’s New York Times bestseller, NO MATTER WHAT. Lisa’s extraordinary story of transforming her own life from public assistance for her family to multi-million dollar entrepreneurial CEO is the inspiration behind her bold mission to teach others that it is possible to do the same. Today, fans worldwide revere Lisa for her singular gift in teaching people how to master accomplishing unfathomable goals and to tap their limitless potential. A noted media personality who has appeared on Oprah, The Today Show, the Steve Harvey Show, and Extra – just to name a few, is also celebrated for the impact she also has on the lives of teens. Through Lisa’s non-profit foundation Motivating the Teen Spirit, she has touched the lives of 211,650 teens, prevented over 3,800 teen suicides, supported 2,500 drop outs in returning back to school and helped thousands reunite with families. Among the prestigious awards and honours bestowed upon Lisa for her extensive work are the Humanitarian Award from the country of South Africa, The Ambassador Award, and The Legoland Foundation’s Heart of Learning Award. The City of Henderson, Nevada named November 20th as Motivating the Teen Spirit Day and the City of Houston, Texas named May 9th as Lisa Nichols Day for her dedication to service, philanthropy and healing.